Did you know that you can predict the items that your stores will have on sale each month? It isn’t an exact science but when you’re looking to lower your food bills, it does work quite well. I’ve said it before and I’m sure that I’ll say it many more times. Groceries are one of the biggest expenses that a family can have and that anyone who is trying to save money on groceries should do everything possible to do so. There’s a reason that I talk about it so much. Groceries can destroy your budget if you aren’t watching your spending and aren’t actively trying to find ways save money on your groceries. One of those ways is by using a retailers sale cycle to help lower your cost. Grocery store cycles are basically a calendar that can show you when the best time to buy or stock up on a certain item is. It works for everything from product to outdoor gear for one reasons. Stores follow a fairly predictable pattern of when they put an item or sale or mark them down for clearance so by including those patterns in your shopping habits, you can not only save money on groceries, but you can help yourself build a fairly decent stockpile for considerably less and buy other items that you family will need or use throughout the year for less. Now let me make something clear. 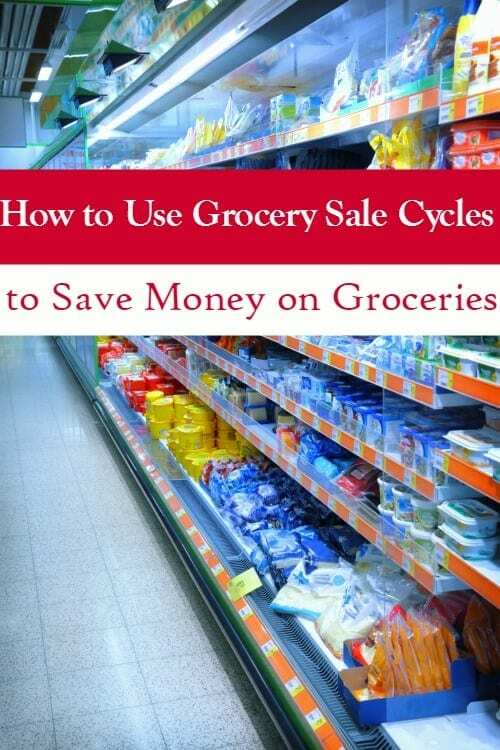 Using retailer sale cycles is by far not the only thing you will want to do to help yourself save money on groceries. Finding true grocery savings, you’ll need to use the other grocery savings tips that you know. Find ways to save on meat if you can, make things homemade instead of buying them, shop stores like Aldi where the product is great and the costs are low, plan a menu each month to avoid having to shop as often or eating out. Saving on groceries is one of those ways that never stops. You will always need food and because of that, you will always need to save. When an item is on sale, stock up enough to last you to the next sale for the biggest grocery savings possible. That was hard, huh? There’s a little bit more to it than that, but that is the basic premise. When you’re planning your shopping trips, make sure that you check the coupons you currently have and print any printable coupons that you need as well. Here’s where knowing the sales comes into play. If a coupon is available to print now for an item that will be on sale within the next month, print it now while you can. Chances are incredibly good that it won’t be around when the item actually is on sale. Knowing when something is going to be marked down can also give you time to save for a shopping trip if you know that it’s going to be a larger one than normal, to save for a party that you might be throwing and to save for a big ticket purchase. In our family, we like to use the money that we save with Digit to grab those purchases without taking money from our family budget. By coming Digit with coupons (when I actually use them), these sale cycles and any other ways that I use to save money on groceries, I’m able to keep our grocery bill around $150.00/mo for everything including meat, pet food, household goods and more. Produce can be hard to stock up on because it has an incredibly short shelf life, however, you can dehydrate them to make them shelf stable and save yourself from having to buy them when they’re more expensive. 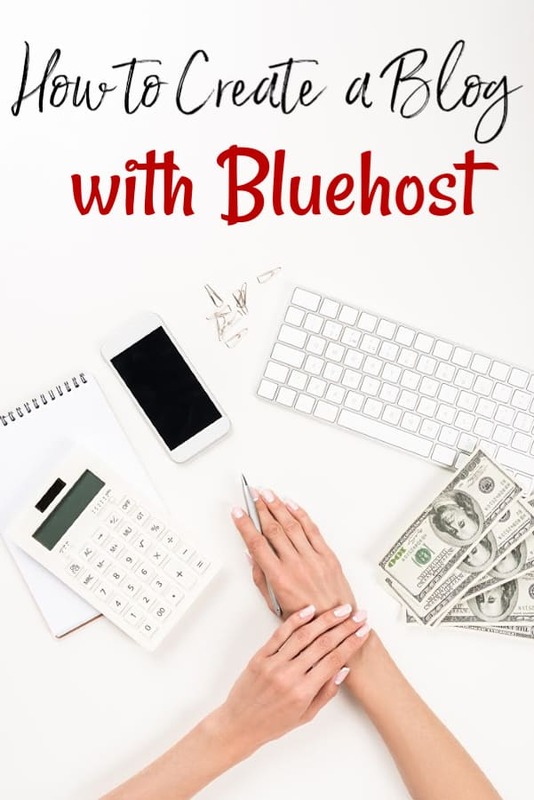 It may seem silly to spend money to buy a dehydrator since your goal is to save money on groceries, not spend more, but you absolutely will save more than you spent in the long run. My dehydrator paid for itself within 2 months with the savings on produce alone. That doesn’t count for the other things I use it for like making homemade powdered eggs to preserve them for even more grocery savings. No, I don’t think you should build an excessive stockpile, but if you know that something like eggs will go on sale in April, June and during the end of the year holidays, you can buy enough in April to last you until June so that you don’t have to pay full price for them and increase your grocery savings by default.. 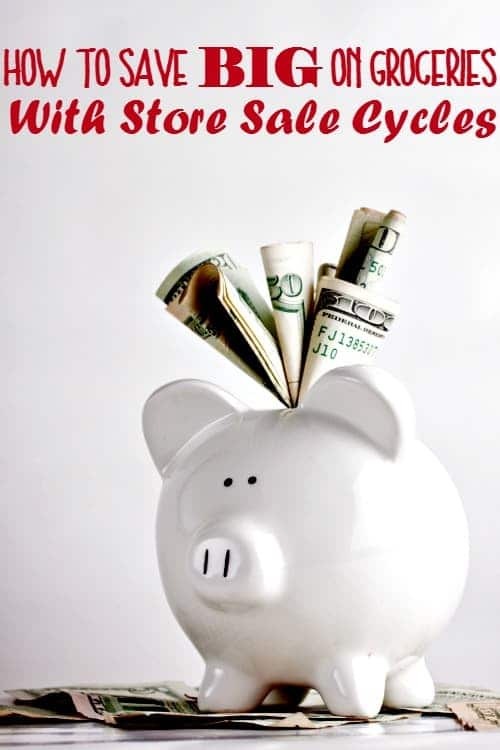 The cycle system works for almost any of things that you’ll be looking to buy so that you can save money on groceries as well as quite a few of the big ticket items you might consider buying. January is National Oatmeal month which means that things like Quicker oats and oatmeal will be on sale. It’s also the month that you’ll want to stock up on any diet foods that you eat like Healthy Choice, yogurt and 100 calorie packs. Because of the Super Bowl, you’ll also want to stock up on things like soda, chips, sandwich items, bagged snacks and cheese. For produce, make sure you grab things like broccoli, carrots, celery, kale, oranges and pears since they’ll likely be cheaper this month than others. January is the Christmas clearance month so grabbing things like wrapping paper and Christmas decor can be a great way to save later in the year. Buy them now and use a wrapping paper storage container to make sure they’re still in good shape for next Christmas. Since January is the middle of winter, a lot of folks find themselves sick. Because of this, you’ll also want to stock up on things like cold medications and vitamins since not only will there be coupons for them, but they will be on sale as well. February is National Canned Food Month and National Hot Breakfast Month which means that things like canned meats like canned tuna, chick and salmon, canned vegetables and fruits and hot breakfasts like Malt O Meal and Cream of Wheat, frozen waffles and pancakes as well as frozen breakfast sandwiches will all be on sale. Valentine’s Day is also this month so candy like chocolate and other “romantic” items (think KY) will be on sale too. Because of Chinese New Year, you’ll want to stock up on things like soy sauce, teriyaki sauce, canned water chestnuts and other items commonly found in Chinese foods. Seasonal produce this month is a lot like January. You’ll want to grab broccoli, potatoes, raspberries, carrots, celery, kale, spinach and other winter fruits and veggies. The great thing about some of these is that they are foods that you can re-grow from scraps so you really only need to buy them once if you want to really save. March is Frozen Food Month which means it’s time to stock up on ice cream, frozen veggies, chicken nuggets, frozen pizzas and frozen meals if you eat them. You’ll also start to see Easter candy and decorations go on sale this month, but to really save on them, wait until April to buy them. There will very likely be plenty of coupons available for these items though if you need to fill an Easter basket, but don’t go hog-wild or you’ll end up over spending. New to the produce list this month is avocado, cauliflower, chard, fennel, leeks, lemons, limes, mushrooms, onions, peas and tangerines. Easter makes April a great month to stock up on ham. Buy 2 or 3 at the sale price and freeze or cook them until you need them. Baking supplies will also go on sale this month so be sure to grab things like flour, seasonings, eggs and butter. Eggs can be preserved to last up to 9 months quite easily and butter can be frozen to extend the shelf life as well. If you really want to see grocery savings on things like eggs, buy enough now while they’re on sale to last until June when they will go back on sale. Then in June, repeat your purchase with enough to last until the next sales. Because Earth Day falls in April too, you’ll also find organic foods and reusable grocery bags on sale too. Earth Day also means that energy saver appliances will likely go on sale too. This makes it the perfect month to buy that new washer or dryer you’ve been eyeing. For produce, add grapefruit, beets and asparagus to the list of fruits and veggies you stock up on. Broccoli, carrots, avocado, mushrooms, onions and peas should still be pretty cheap if you missed stocking up on them in the previous months. You’ll also find after Easter clearance sales this month too so feel free to grab the extra candy you held off on in March or that bunny decor you’ve been looking at. May brings on the early summer sales with things like BBQ sauce, ketchup, mustard, mayo and other condiments on sale. You’ll also find other grilling favorites like ground beef, hot dogs, and steaks on sale. For non-food items, grab charcoal, paper plates and cups, plastic flatware, but sprays and sunscreen on sale. Cinco De Mayo is also in May which causes sales on things like chips, salsa and tortillas. June is National Dairy month which means you’ll be able to pick up eggs, milk, ice cream, cheese, butter, sour cream and whipped cream on sale. The vast majority of those items can be frozen or preserved in some way shape or form so feel free to stock up. Again this month you’ll see common picnic foods (hot dogs, buns, hamburger, condiments, charcoal, etc) on sale for the summer months. For produce, berries are now in season and are at what will likely be their lowest prices of the year. Apricots, cherries, blackberries, strawberries, and blueberries are all great options. Eggplant, melons, grapes, peaches, potatoes, red onions and squash are also cheaper in June than the other months. Don’t forget to grab a watermelon too since it will be on sale in June as well. July is National Ice Cream month so shopping for ice cream, toppings and cones is where you’ll want to start this month. Picnic and BBQ items continue to be on sale in July but you’ll notice that after July 4th the sales may not be quite as nice since the season is ending. Toward the end of July, back to school sales will start. You can buy those items now, but I recommend waiting until August since they will hit their lowest prices toward the 2nd week of August. Tomatoes, oranges, bell peppers, beans, corn and garlic are where you’ll want to focus your efforts to save money on groceries to your produce budget this month since they will all likely go on sale. Back to school sales are in full swing during August making it the perfect time to watch for deals on crayons, pencils, notebook paper, folders and more. Be sure to keep an eye out on the office supply stores like Staples since they usually have really great deals about this time of the year. Food sales are also back to school themed with things like lunch meats, bread, cold cereals, pudding cups and fruit snacks coming into sale pricing too. For cleaning supplies, most school lists have hand sanitizer and/or bleach on them so you’ll find both on sale in August as well. Summer items will start to be marked down to clearance prices in August. Watch for deals on things like bug spray, sunscreen and charcoal to stock up for the next year. Big ticket summer items are also put on clearance toward the end of August. Things like air conditioners, fans, patio furniture and pools can all be bought now for much less than regular price. Back to school sales will end in September but through Labor Day you’ll still be able to find deals on them. If you missed stocking up in August, now is the time to do it before they jump back to regular price. Diabetic supplies go on sale in September too. If you’re diabetic, you’ll find Glucerna products and glucose meters on sale. Baby equipment also goes on sale in September so if you’re pregnant, now is the time to pick up not only your crib, but also any safety equipment that you’ll need as well. For produce, chili peppers, pomegranate, artichokes, apples and winter squash make the list this month. Make sure to stock up to really see grocery savings on these items. “Trick or treat, smell my feet, give me a good deal to eat..” With Halloween this month, you’ll find a deal on candy just about anywhere you look. Both canned and fresh pumpkin is at one of their lowest prices of the year so if you’ll be making any yummy pumpkin recipes in the next couple of months, start stocking up. Holiday baking sales will also start on things like evaporated milk and chocolate chips, but I personally prefer to wait until November to get better deals. Daylight savings time ends in October which makes products like batteries, smoke detectors, alarm clocks and other items that we’re recommended to change when it ends go on sale. October is also National Seafood Month so keep your eyes out for sales on shrimp, fish and other seafood products. Dog food brands Purina and Pedigree also usually go on sale in October for Adopt a Shelter Dog Month and for produce, Brussel sprouts, cranberries, cabbage, sweet potatoes and turnips are the new produce to look for sales on. November brings baking sales into their full glory so make absolutely sure you stock up on them. Things like nuts, chocolate chips, evaporated and condensed milk are all on sale this month. Because Thanksgiving is this month, things like broth, boxed stuffing mixes, gravy packets, frozen pies and canned veggies are on sale as well as soups and spaghetti sauces. Fresh or frozen turkey also reach their lowest prices of the year this month making it the perfect time to pick up 2 or 3 to freeze for later. Hot beverages are also on sale this month so stock up on hot cocoa packets, coffee and teas. Clearance items you’ll find Halloween decor, Halloween candy and any last chance clearance sales for summer items. I once picked up a summer BBQ set in November for $8.00 marked down from $46.00 so be sure to keep your eyes open. Produce sales this month are pretty much the same as in October. Christmas is here and so are the sales! Continue to watch for deals on things like frozen pies, pie crusts, gravy mixes, sodas and more. Ham will drop to one of its lowest points of the year in December so if you stocked up in April and need to re-stock, do it now. That is the only real way to save money on groceries like ham since they rarely have coupons and only go on sale a couple of times each year. Baking supplies are also at their lowest point of the year so be sure to grab flour, sugar, butter, spices and anything else you might need later on it the year. Canned soups, broths, milks, veggies and fruits also continue to be on sale this month as well as kiwi, dates, rutabaga and turnips for produce sales. The beginning of the month will see Thanksgiving decor items on clearance and the end of the month will be filled with after Christmas sales. Be sure that you use these clearance sales to your advantage for the new year. Lenea, we are a family of 3 so we don’t stock as much as you might think. We have THIS small chest freezer and (2) of THESE shelving systems. The rest goes in the pantry or for paper goods they get stacked in the corner of the laundry room.